We had quite a long 3 months dealing with the builder and ended up eliminating a built-in fire pit but all in all, we finally have something that we're proud of. 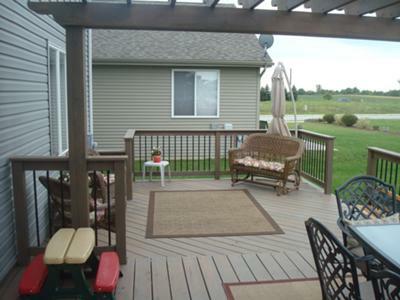 The existing deck was 10'x10' and by the time the grill and a few seats were placed on it, there was only one small walkway from the house to the yard! 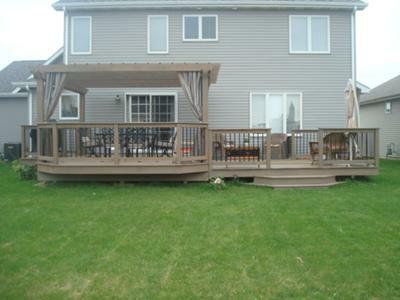 So, with two goals in mind, we achieved what we were looking for - an outdoor living space. One area to dine, another to entertain/socialize. The first tier is 12' x 14' with a bump out for the grill. I hung outdoor curtains to cut out the late afternoon sun and allow for some privacy. The second tier is the socializing area and still in need of additional seating. Maybe winning this contest will help solve that problem! We absolutely love the fact that on cool summer nights we can spend the evening outdoors. Thank you for giving the beautiful ideas about an outdoor living space.This space is mostly use in our home that is why it must look beautiful. 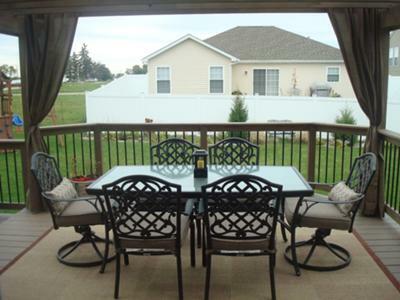 A beautiful outdoor space will surely increase your home's value and if the space has a deck constructed over it then it can act as a great functional space for various activities. 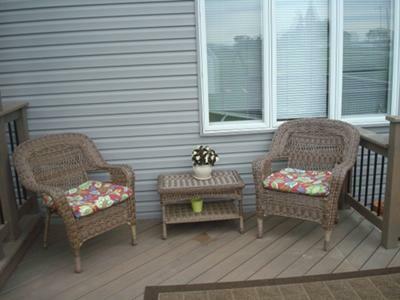 Recently one of my friends had a beautiful wooden deck added to his home by the professional deck construction Fairfax, VA contractors at http://stbremodeling.com/. Last week I visited his home and the exterior of his home was totally changed with the deck addition which was a great change. looks like a great party area!!! Love the choice of stain color! VERY NICE, the stain color is great!